Old US 81 Pond Creek, Grant Co. 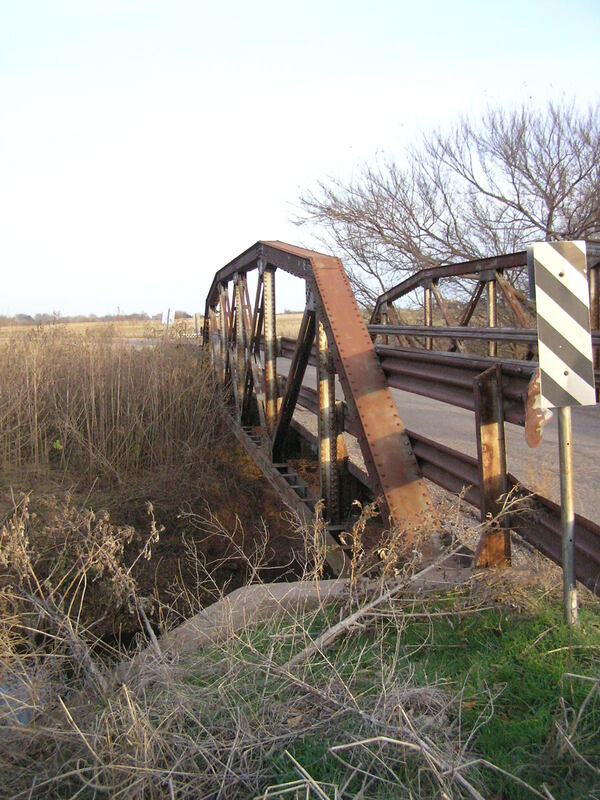 Built in 1926, this 96-foot long riveted Camelback pony truss spans Pond Creek just west of Jefferson in northern Grant County. 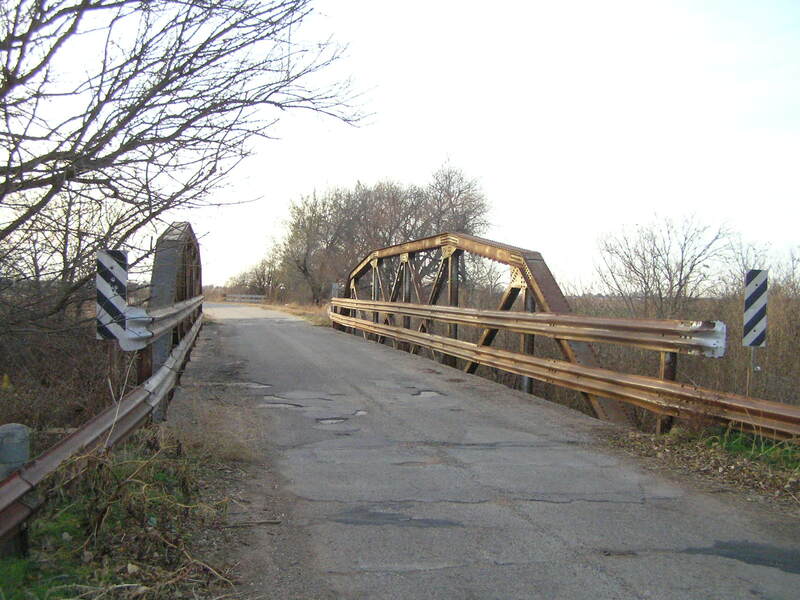 Above, view of bridge looking west. Below, view of the side of the bridge. Note the absence of a curb in both views. 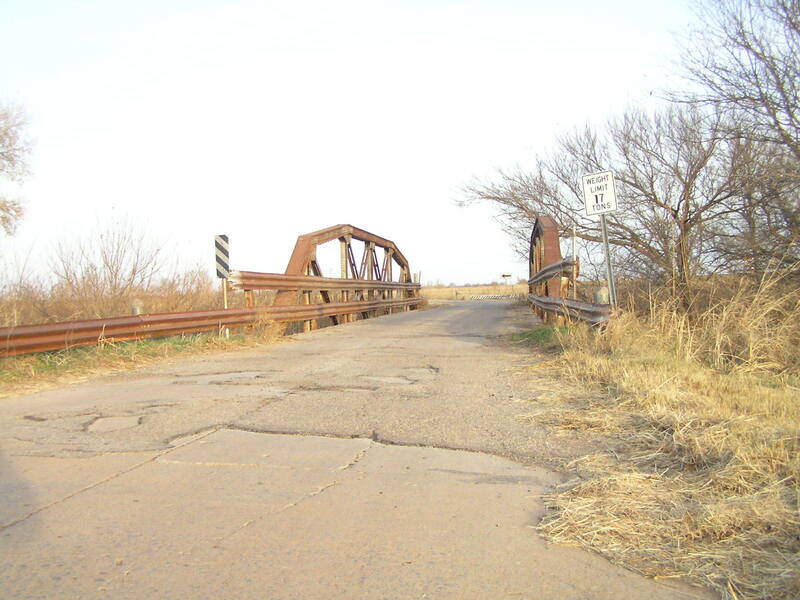 It is likely that the deck has been replaced, along with the guard rails. You can also see that all members are of the built-up type. 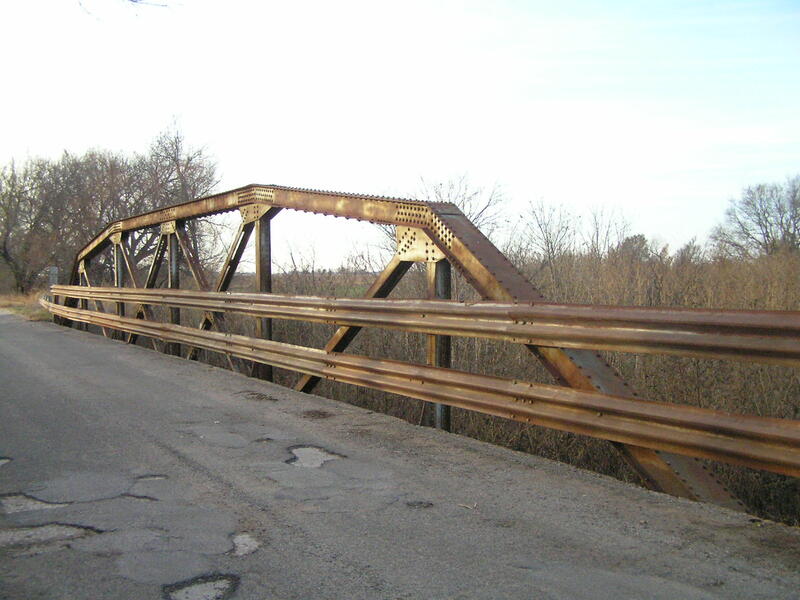 Below, side view of the truss from the deck. 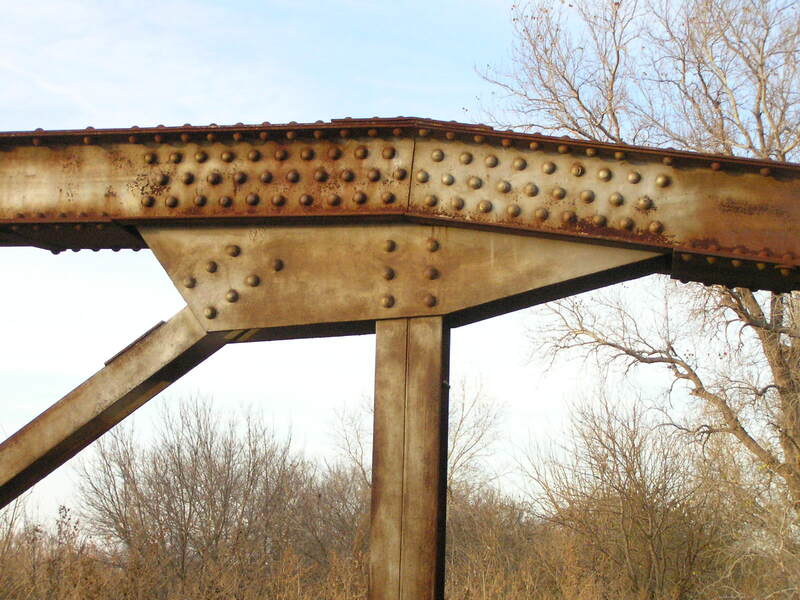 The six-panel camelback pony truss is one of the least common of the state-designed types. Above, detail of hip connections. Note the extra angle riveted to the tension diagonal. This allows both legs of the angle to be connected to the gusset plate. Above, another upper chord connection. The shape of the gusset plate follows the stresses in the connection to eliminate extra material. Note, as in the last photo, the tight, precise mittre of the channels as they change angles. 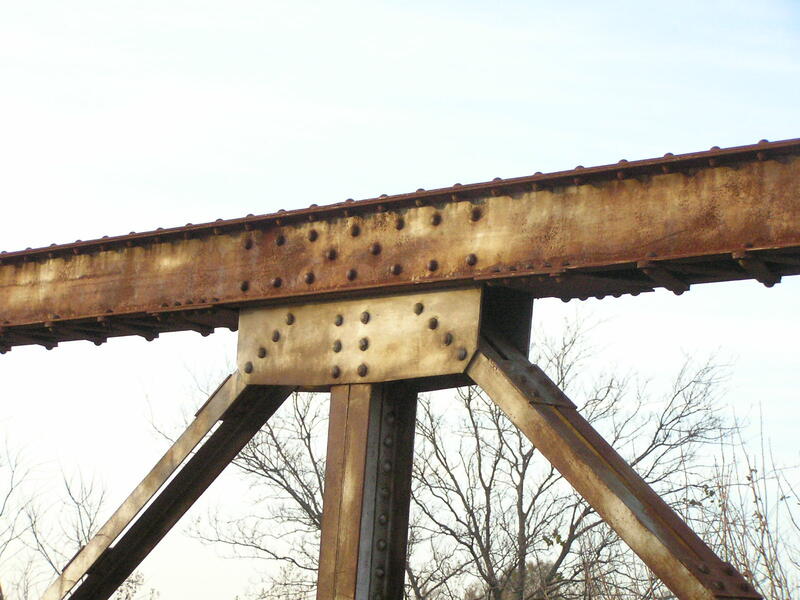 Below, the center connection on the upper chord. 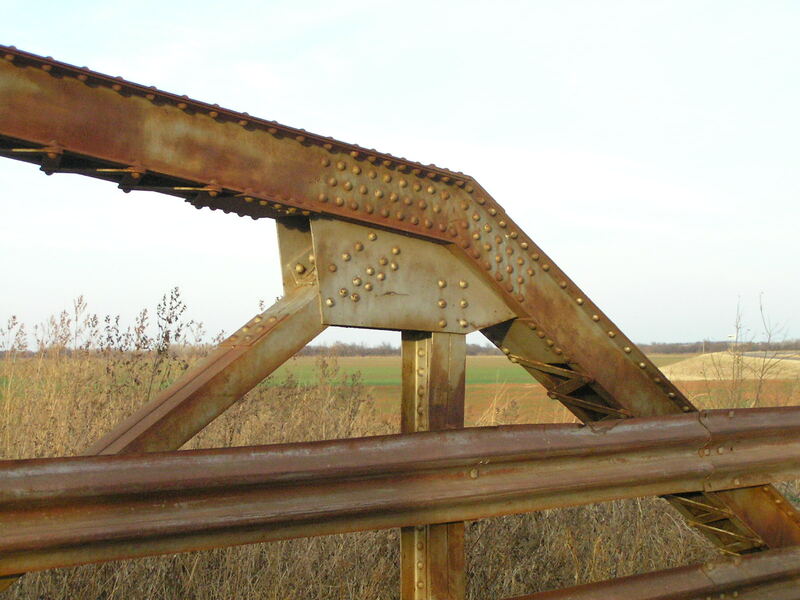 Above, another view of this fine old bridge.